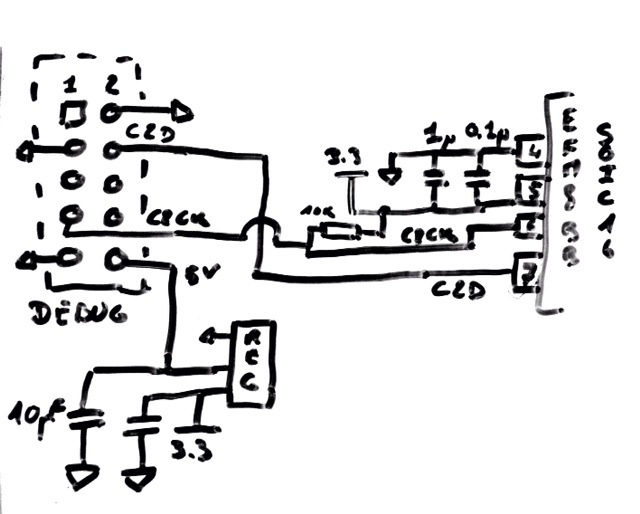 If you my blog and the lesson section you may notice my interest for 80×51 micro-controller family. 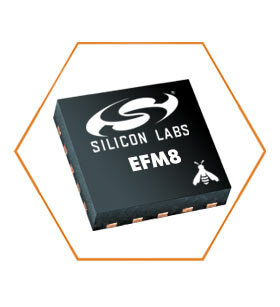 Silicon Labs has recently launch a new 8b family based on this core. With price less than 1 euros, they are interesting candidates for low cost hacking and hardware design. Even the programming cable is not really expensive ( $35 + port + Tax ) and the development environment is free. All of them can be programmed using the simplicity studio software available for windows, linux and mac osX (the last two are still in beta). I’ll start testing the mac Os X environment. The environment if free to use up to 2Kb of binary size. The compiler is under Keil licences to activate it fully you need to request a licence. This is free. The software can be downloaded from this page. Once install, the software will try to detect the target device ; this is working well if your connection fits the one described in the “make your schematics ready for being programmed” (see below) You can type your device model, then the software is downloading the necessary environment files. The first one is the access to the eclipse IDE to create / develop your project. The third one is the Configurator : this tools helps to create the initialization code for all your device. This is a graphical solution to make the configuration. It seems easy to use but there is a lot of dependency between the modules. As an exemple when you want to setup an UART, you also have to activate the timer and configure it in the right mode and set the right timer frequency in a sub tab to get the right baud rate. I think we could had a simpler solution : if I select UART @ 9600bps, it could configure all the related stuff automatically. That said, the tools is nice, so it is good to have it. This tool is an eclipse perspective so once you have made the config, you can go to the source code directly. The icon on the right side goes directly to the initial dashboard. project_main.c : it contains all your code to customize and call the iniDevice procedures. Now, let’s make an hello world program. Eventually you can configure your hardware but the default is all the IO are Open Drain digital I/O. Compile with the hammer icon ; debug with the bug icon ; flash with the chip icon. Pin 10 is delivering USB VCC (5V) regulation is needed to match the component voltage. This entry was posted in Hardware and tagged 8051, EFM8, embedded. Bookmark the permalink.